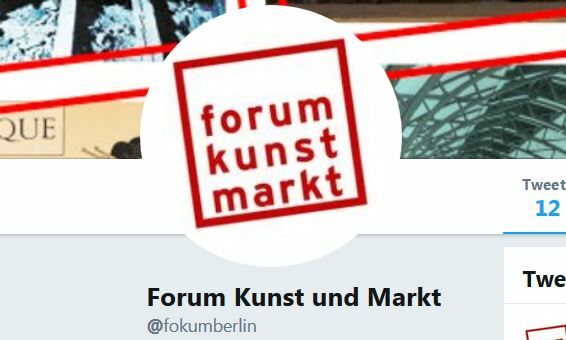 The Forum Kunst und Markt / Centre for Art Market Studies examines market conditions and mechanisms of art production, trade and reception from its beginnings to the present day, particularly since the beginning of the modern age. 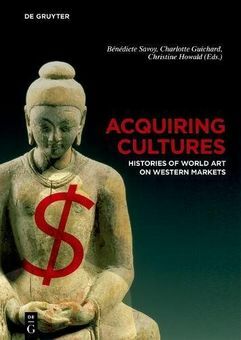 It links the activities of various institutions and scholars in the thematic field of the art market. 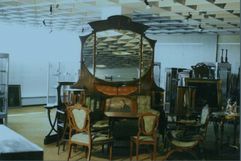 Dr. Uwe Hartmann, Magdeburg, will give an evening lecture at the Forum Kunst und Markt/Center for Art Market Studies on the topic: "Das Geschäft mit der Kunst in der DDR: Privates Sammeln, verstaatlichter Handel und die Enteignung von Kulturgütern." 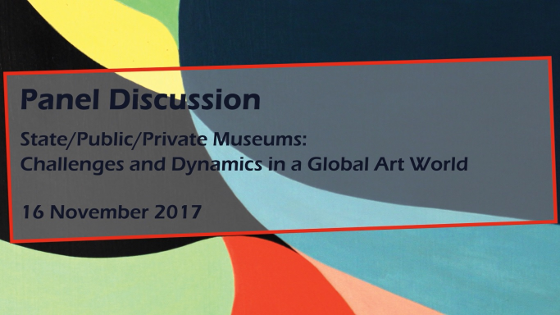 The panel discussion of the symposium “The Global Power of Private Museums: Arts and Publics – States and Markets” is available online. The lecture series of the Forum Kunst und Markt / Centre for Art Market Studies promotes interdisciplinary and interinstitutional exchange for current research. This issue of the Journal for Art Market Studies is focused on the subject “Asian Art: Markets, Provenance, History” and traces the circumstances and the paths taken by East Asian objects through the art market towards Western collections, be it the porcelain collection of Augustus the Strong, the looting of the Chinese imperial summer palace, or the current market for contemporary art. Ever since antiquity, the art market and the translocation of art have been closely related. The fourth issue of the Journal for Art Market Studies explores aspects of translocation facilitated by the art market, for example through lucrative trade in looted art as under the Nazis, the skillful exploitation of economic opportunities by wealthy overseas buyers, politically induced sales of national cultural assets as after the Russian Revolution, or the trade in colonial objects whose acquisition circumstances are often unknown. 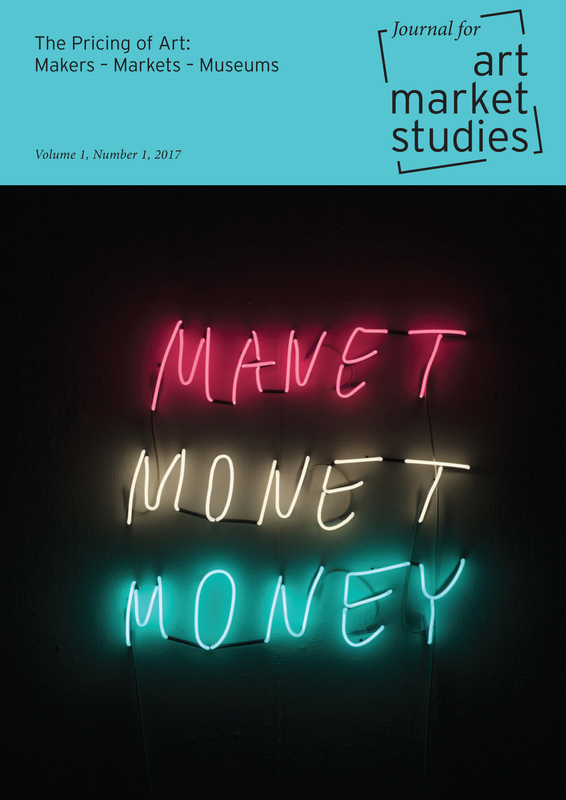 The third issue of the Journal for Art Market Studies is dedicated to the exhibition space of the art market. What are the historical and current interrelations between exhibition strategies and sales transactions? 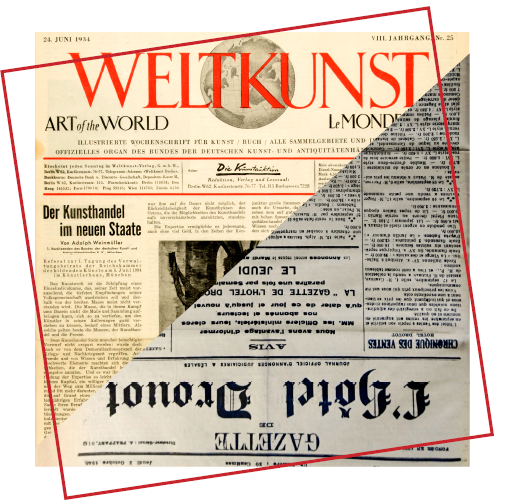 The themes of the articles range from contemporary New York art galleries, art fairs, modern art galleries in Paris and Berlin at the beginning of the 20th century, to art trade palaces built in Munich around 1900, as well as American barbershops of the late 18th and early 19th century. 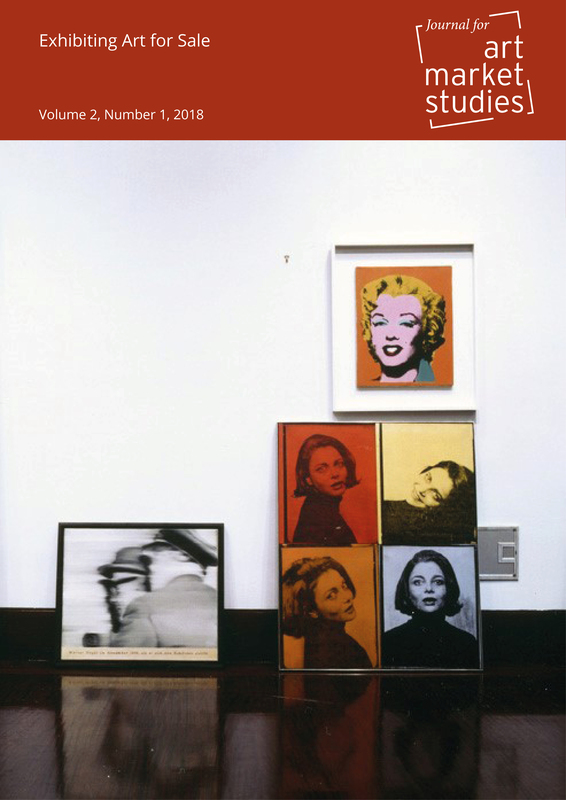 Is Art Market Studies a discipline in its own right, or rather a research focus area? And if it is a research focus area, then which discipline does it belong to? Art history? Economic or social history? Sociology? Economics of culture? 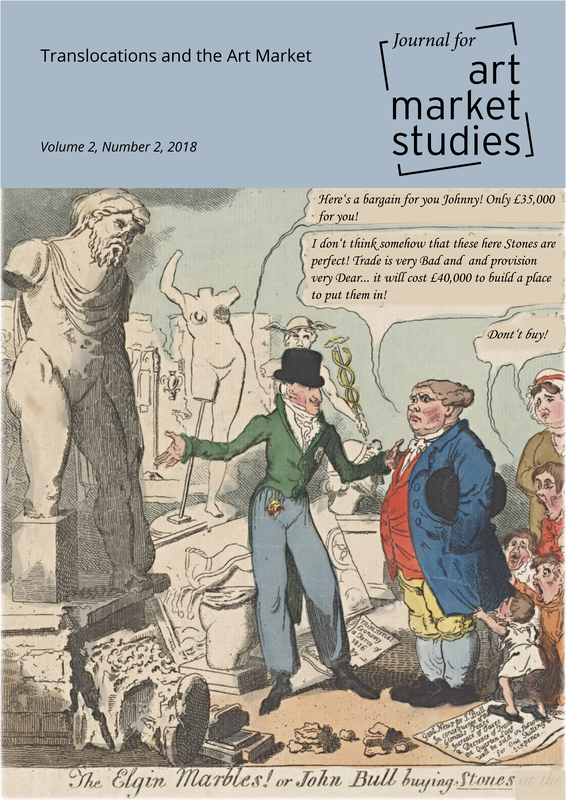 In this second issue "Theories of the Art Market: Data – Value – History" we ask about the theories of art market research and their different approaches, methods and objectives. We ask from an art history perspective which is quite open to transdisciplinary approaches. 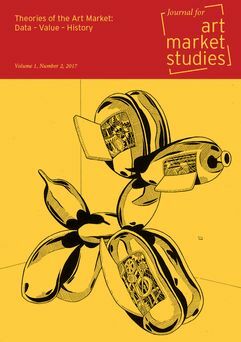 This first issue of our open access Journal for Art Market Studies does not seek to provide estimates of artwork prices. Instead, "The Pricing of Art. Makers - Markets - Museums" focuses on analysing how market players and institutions in the “art market system” have combined to affect the pricing of art, both now and in the past. 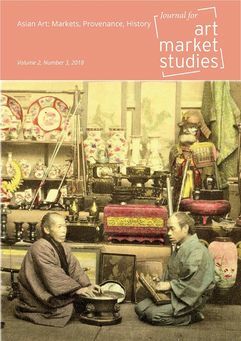 The aim is to present selected case studies which offer representative insights into different countries, periods, networks and phenomena from the perspective of art and museum historians, economists, and sociologists. 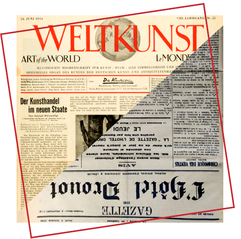 The Forum Kunst und Markt / Centre for Art Market Studies hosts international workshops and conferences on the key themes of historical art market research. The Network for Young Scholars sustains the communication among young researchers in the field of a long-term cultural history of the art market, supporting particularly the development of innovative methods for exploring the relationship between artworks as art historical objects and their cultural and financial economy. Friday-Saturday, 14-15/09/2018: "Digital Tools for Art Market Studies. Third Meeting of the Young Scholars Initiative of the Forum Kunst und Markt / Centre for Art Market Studies"
Friday/Saturday, 10./11.06.2016: "Theories of the Art Market. Second Meeting of the Young Scholars Initiative of the Forum Kunst und Markt / Centre for Art Market Studies"
Friday, 13.11.2015: "Theory, Sources, Tools. First Meeting of the Young Scholars Initiative of the Forum Kunst und Markt / Centre for Art Market Studies"